Get the latest crafting and DIY tips, tricks and tutorials delivered straight to your inbox! 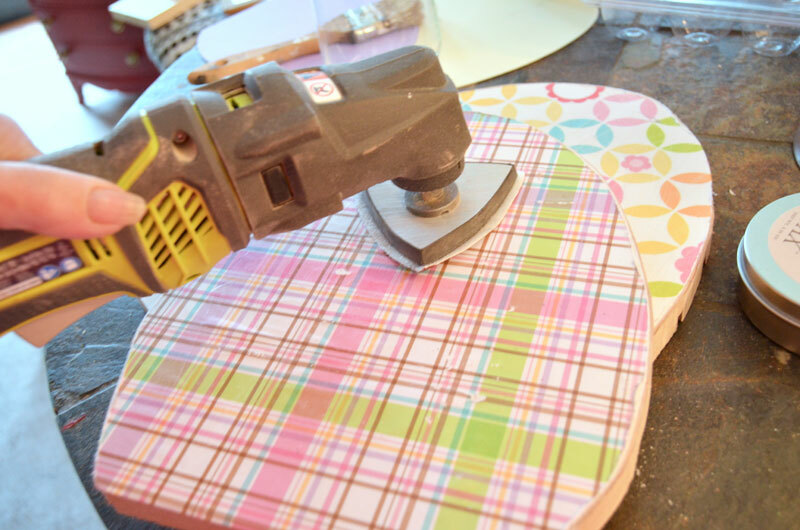 When I found out that “Spring” is the theme of this month’s Power Tool Challenge I went to Pinterest to look for inspiration when I saw this pin, I knew immediately that I was going to make my own version of these wooden Easter eggs. The first thing I needed was a flat-bottomed egg shape so I made one. Well I made three. With my Silhouette Cameo®. I don’t know what I would do without that machine! If you have a Silhouette, just make an oval and cut off the bottom. 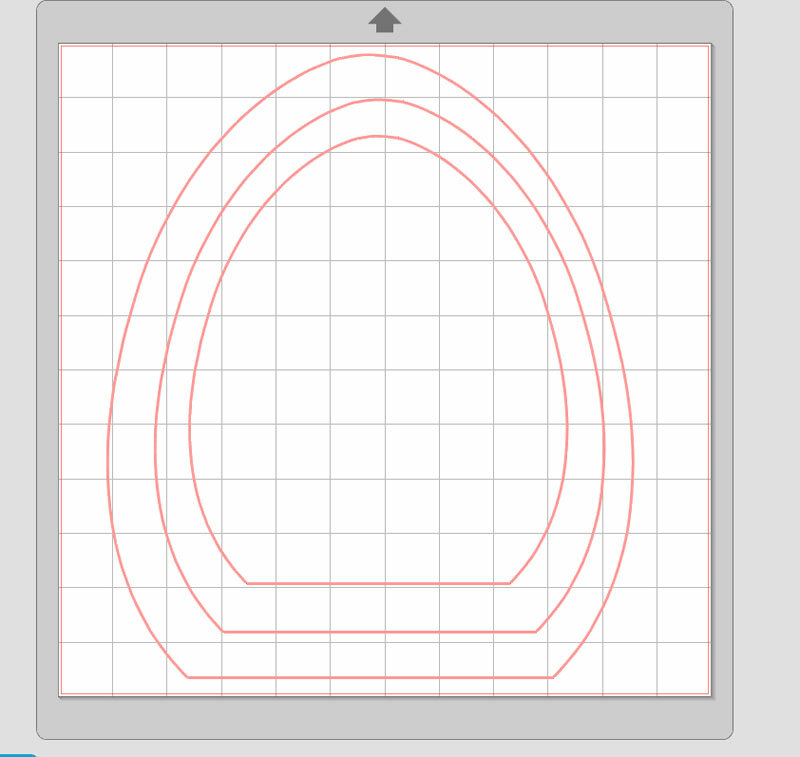 If you don’t have a Silhouette® machine, I can send you a PDF of my egg-shaped template. I cut three different sized egg shapes out of the card stock. 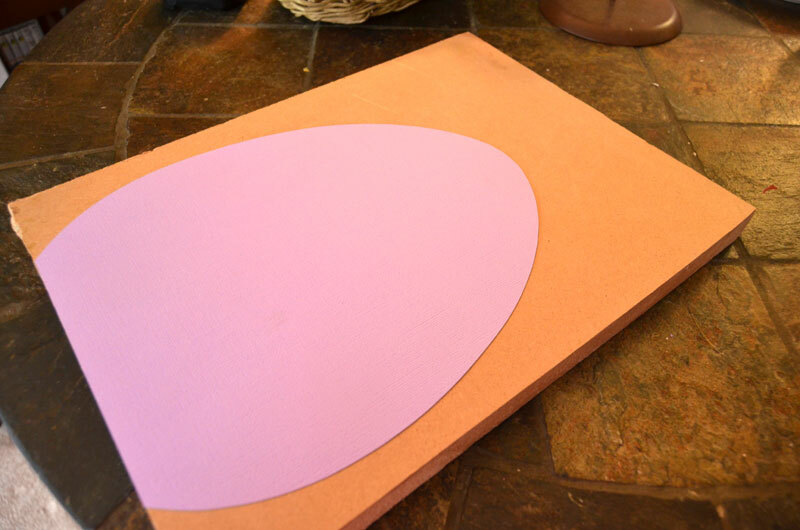 I also cut these same shapes out of the patterned scrapbook paper that will be used to decorate the wooden easter eggs. The I traced the egg shapes onto my pieces of scrap wood. My scrap wood has some grooves cut into the back of it (I was practicing making dato cuts on it ; ). The grooves are on the back and aren’t noticeable from the front. Besides, why let perfectly good wood scraps go to waste! Next it was time to cut out the eggs with my jig saw. 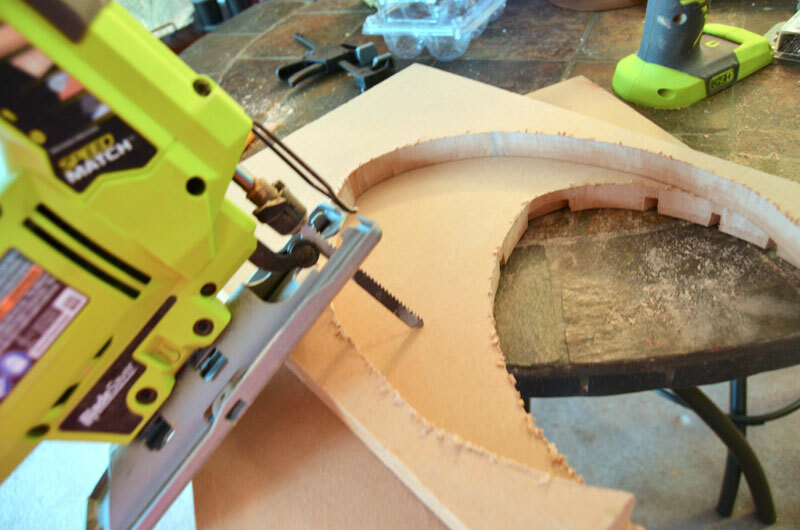 I have noticed that the more I used the jig saw, the better I get at it ; ) After the wood is cut, sand the edges smooth. Once the eggs were cut and sanded smooth, I brushed on a coat of Mod Podge to one side of each wooden egg. 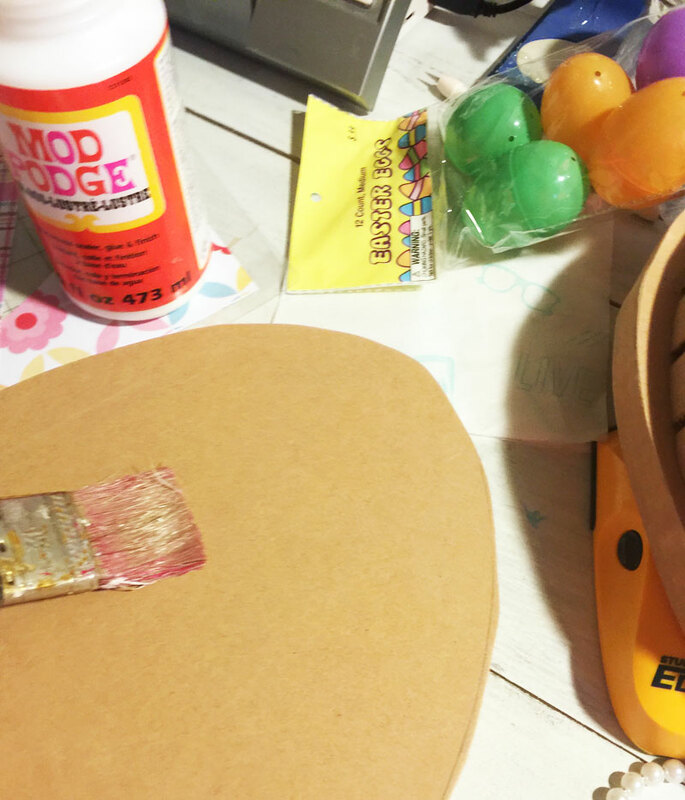 Then I carefully laid the patterned scrapbook paper egg shape onto each wooden egg and brushed on another generous coat of Mod Podge and then let the eggs dry. Once the eggs were dried, I went over them carefully with my sander. You could also use a sanding block or sponge for this part. I wanted my eggs to have a shabby/worn look so I added a small amount of antiquing wax to darken up the edges just a bit. I love how they turned out. What do you think? 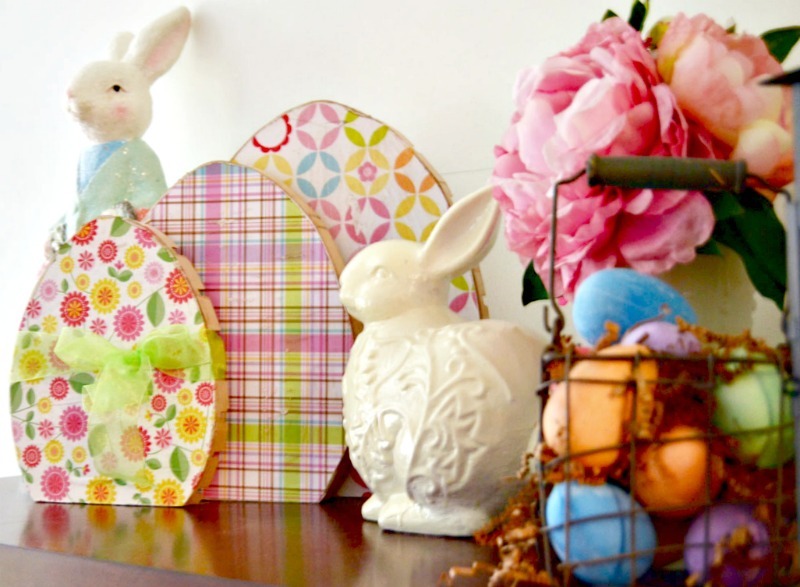 I especially like that I didn’t spend a dime to make these decorative wooden Easter eggs since I used supplies and scrap wood that I already had. These eggs are so cute! I love that you made them in three sizes and also love the cute scrapbook paper designs that you used. I want to make these for my house! Very creative use of a piece of wood! Visiting from DIY Like a Boss party. Super-cute idea – I especially love the patterns of the paper you chose… Very bright and Spring-y! These are really cute Jeanie! I love the scrapbook paper patterns and colors that you used and wrapping a cute bow makes them extra cute. So cute and I love the colors and patterns you picked! Darling! I’d love these by my front entry table. I’m falling in love with my Silhouette too, although I’m not nearly as good with it as you are! Awesome eggs! Love the paper choices!! Such a great spring project! I love these Jeanie. A little collection of them on a shelf.. just in time for Easter. They are darling! These look great Jeanie! Not too experienced doing this kinda stuff but I’d like to! Those are creative and adorable. Hope to see more posts from you. So perfect for Easter/Spring. Altho we don’t have any small grand kids (all grown up,darn it)I still enjoy making decorations for Easter. Since we don’t have any wood to cut out the eggs will use cardboard and watercolor paper for eggs, little substitution which I do often. We live out in rural area so don’t run to town for every little thing. Like to see how I can make projects without having to buy things, make do. These eggs will decorate our shutter shelf along with other decorations from thrift stores and other times have made them. It’s just Mr.Furry and I to enjoy. Your wood eggs are wonderful with pretty papers. Hi, These are adorable and look very DIY friendly! I would love for you to send me the pattern. I loved the way the eggs turned out. They would make a beautiful center piece in a Tablescape too. Thanks for sharing on Sunday’s Best. I’m in love with these and am excited to feature them this week in the To Grandma’s House We Go DIY, Crafts, Recipes and more Wednesday Link Party! Yay! Love these and would like to make a set for myself and my daughter. If you would be so kind as to send me the template. 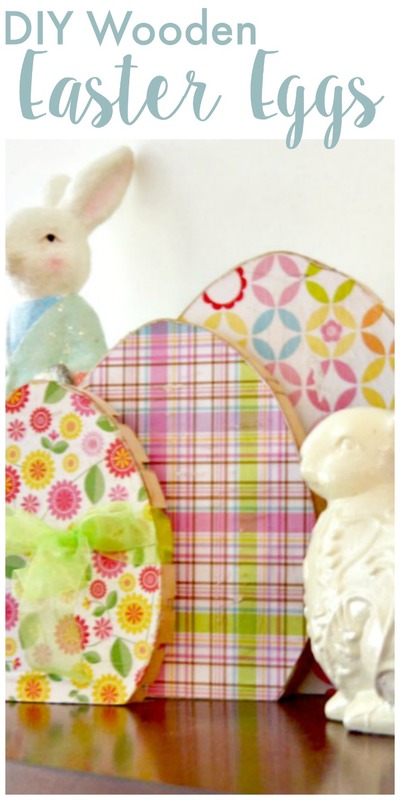 Jeanie, these wooden eggs are so perfect for Easter and what a lovely DIY project. Thank you for sharing this project at Create, Bake, Grow & Gather on Shabby Art Boutique this week. I’m delighted to be featuring it at tomorrow’s party and pinning too!! Love these! Sharing them on my Merry Monday roundup this week! Stop by to check it out! Welcome to Create & Babble. This is where I share my love of making pretty things and making things pretty . . .
Jeanie Hevener Emmert is a participant in the Amazon Services LLC Associates Program, an affiliate advertising program designed to provide a means for sites to earn advertising fees by advertising and linking to amazon.com. You'll also receive a FREE 3-page Printable!